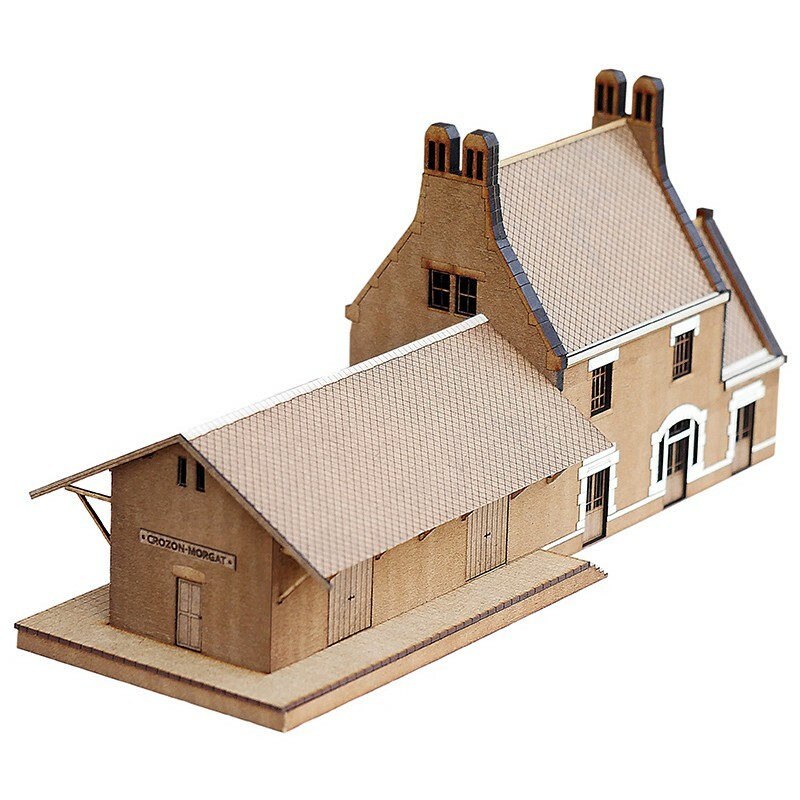 > BUILDINGS & TRESTLES>CP PROVENCE>BÂTIMENTS HOm >HO CROZON-MORGAT STATION KIT. HO CROZON-MORGAT STATION LASER CUT WOOD KIT. 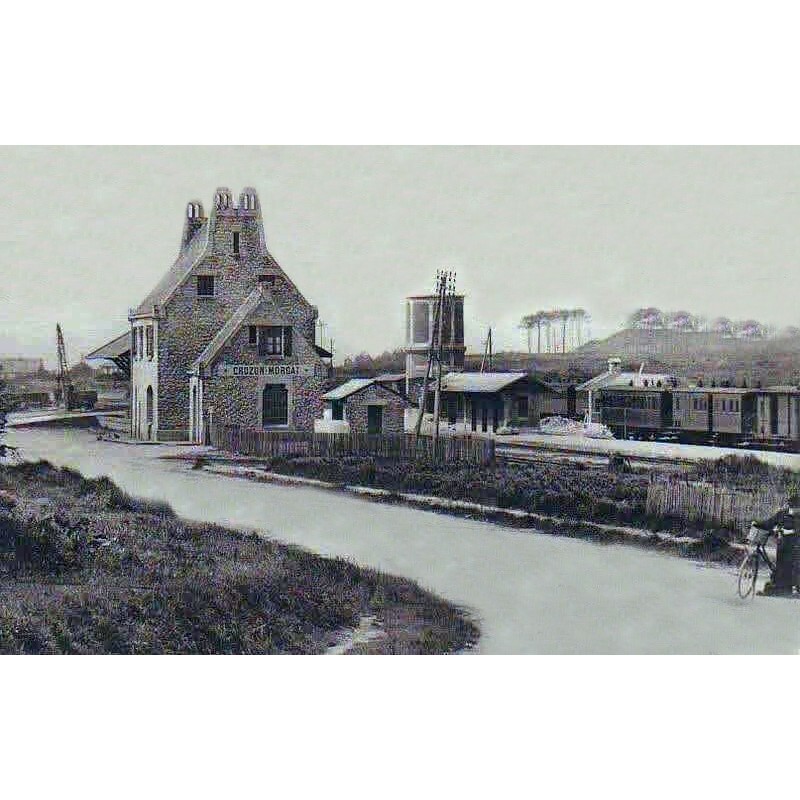 Kit of the station of Crozon-Morgat on the line of Chateaulin to Camaret of Network Breton. This model to the strict HO scale includes 286 pieces. 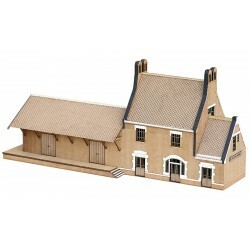 The finely engraved model is supplied with a large good shed and a base and reproduces the neo-Breton style typical of these buildings never made before. Lampposts and docks are also provided. Dimensions: 400 x 150 x 160 mm. This model includes 320 pieces. Development time: 102 hours. Manufacturing time: 315 minutes. Packing time: 24 minutes. The stations of the Peninsula of Crozon were designed according to a plan of the architect Julien Polti (1877-1953). They are thus constructed identically. They are nicknamed the bigoudenes because of the perforated granite fireplaces resembling a headdress embroidered Breton of the Bigouden country.